Phonographic Copyright (p) – AIR Records Inc. Copyright (c) – AIR Records Inc.
(с)&(p) 1986 AIR Records, Inc. Recorded at Hiroshi Yoshimura's private studio, Hiroh 806. Mixed at Music Station, Shinjuku, Tokyo. Printed and manufactured in USA. Minimalism but with some feel. 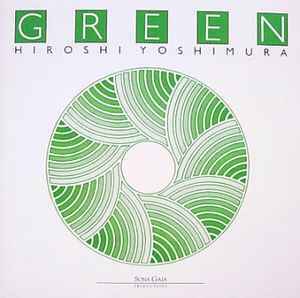 This is a Japanese take on the composing style of Phillips Glass and Terry Riley only done on purely FM synthesis. The music is surprisingly warm despite the stigma of FM synthesis i.e. DX7 being cold and robotic in tone. Yoshimura pulls of beautiful soft dynamics and arpeggio swirls in his music which is accented by field recordings of natural environments. This is NOT really new-age music tho the label it was released on was synonyms with new age music this is not sap laden drivel like the ilk's of David Arkenstone. For listeners of the minimalist style of composing and those who like their ambient music less drone oriented with no added techno foot stomping. A lost gem.....I wonder if Hiroshi ever released anything else as this is an ear taster for more music!